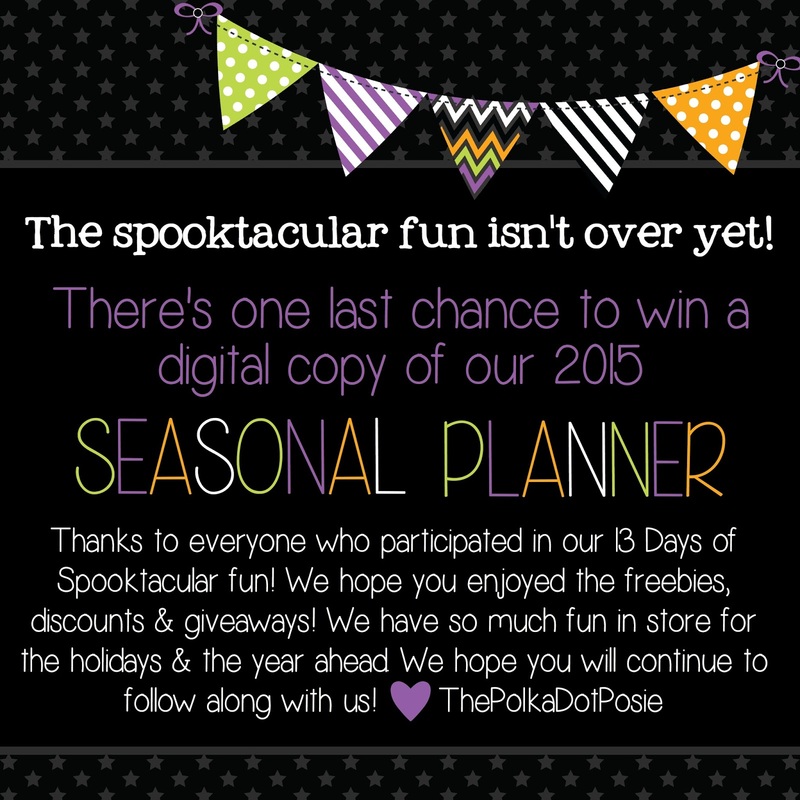 The Polka Dot Posie: The Winner of our 2015 Seasonal Planner, Plus a Chance to Win a Digital Copy! The Winner of our 2015 Seasonal Planner, Plus a Chance to Win a Digital Copy! We are blown away by the number of entries for our 2015 Seasonal Planner Giveaway!! Congrats Kelly!!!! We will be notifying you by email as well, so be sure to claim your prize within 24 hours. Thanks to everyone who entered and played along with our 13 Days of Spooktacular fun!! For those of you that didn't win the printed planner, there is one last chance to win a digital copy TODAY!!! Just head over to our Facebook page to enter. Attires tend to be explained to as soon as party invitation greeting cards usually are passed out. Although prior to possibly get started purchasing hermes replica family and friends, you have to contemplate many variables. By means of being seated in addition to considering it, you will get better probabilities of receiving the suitable in addition to suitable replica handbags with the special occasion. Breastfeeding a baby wristwatches can be obtained from quite a few hip in addition to kept up to date models. Intended for completely new mothers and dads in addition to mothers-to-be, excellent chanel replica of which meets the specialised desires in addition to will allow those to attend to the little ones towards very best in their power is usually connected with crucial magnitude. While using the usability in addition to ease they furnish, there're some sort of expensive advantage to help mother in addition to little ones similar. Breastfeeding a baby replica dior handbags which might be at ease in addition to simple usually are suitable as soon as sanita a newborn or maybe newborn. An important objects undoubtedly are a sanita bra of which satisfies very well and this will allow quick prade replica. Soon after labor and birth, this bra measurement boosts 1 to 2 goblet sizing's.